Build a garden hose storage with planter! | DIY projects for everyone! Home DIY Build a garden hose storage with planter! A beautiful garden won’t thrive without it, but it can be an eyesore if left just lying around. We’re talking about the garden hose! Since it’s essential to your garden, then you might as well provide for a proper storage for it in your backyard. This garden hose storage and planter in one is a very easy project that you can accomplish in a day. It’s also inexpensive since you can build it using pallets or scrap timber from previous projects. The amount of timber you will need would of course depend on the size of your garden hose. Providing a space for it to also serve as a planter would make it a nice fixture in your backyard aside from being a functional storage. 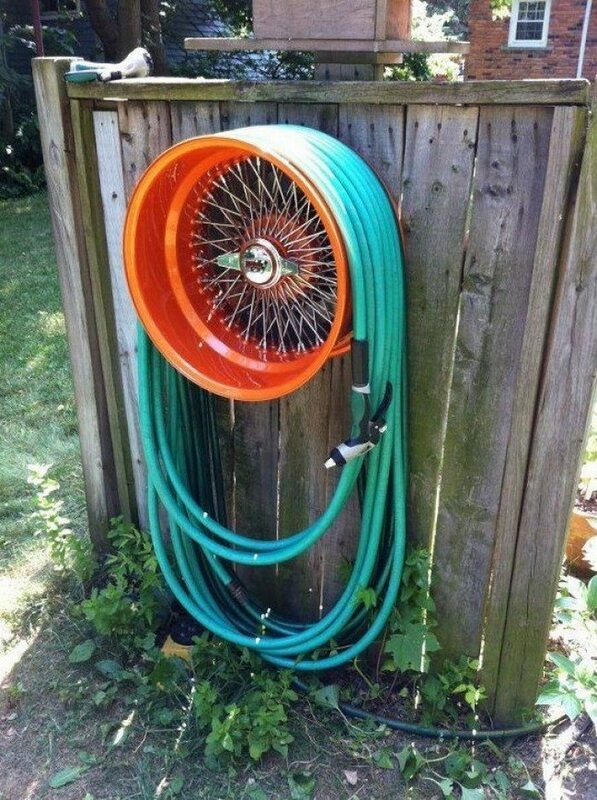 This clever DIY project is not only a beautiful storage idea for your garden hose in your yard, it’s also a great way to grow more plants!